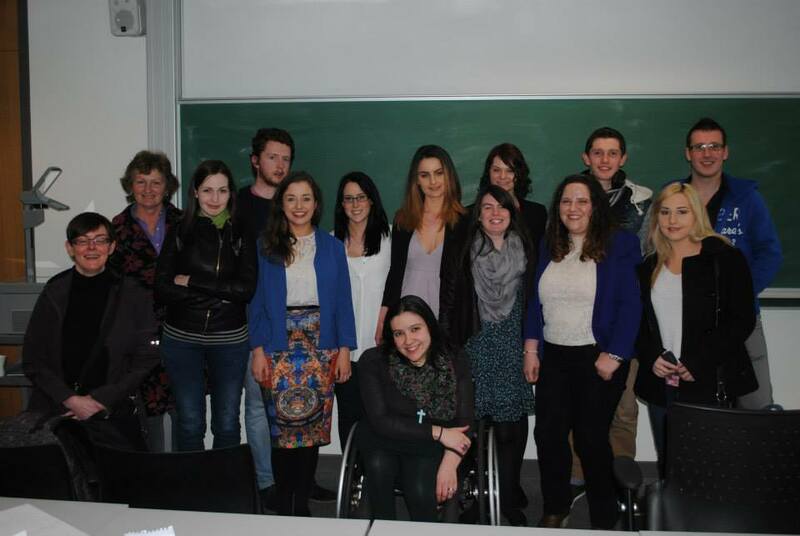 Friday March 28th saw the School of English’s MA student conference; Textualities ’14. The conference was organised by the MA students themselves, with the help of some kind lecturers, particularly Maureen O’Connor, Orla Murphy and Jools Gilson. Each of us presented, Pecha Kucha style, on a topic inspired by our respective MAs. Some topics were closer to our proposed theses than others. A few of us juxtaposed pop culture with literary criticism. Some shared artists, forms of literature, and tropes close to their hearts. I found the Pecha Kucha form challenging and rewarding. On reflection, I can say that I learned a great deal from the experience. I have never been a confident public speaker but the rigid structure of the presentation style was somewhat reassuring. I always knew what was coming next. Were I faced with the same task a second time I would approach a few elements differently. I would stand rather than sit; Pecha Kucha being a more engaged presentation style it requires the speaker to be a little more physically present than she would be if giving a paper. I’d speak from a set of points rather than script my entire presentation. I’d be a little braver with my slide show and in my general style. I was inspired by my classmates’ output. I thoroughly enjoyed the creative visual jokes many of the students included in their work. The variety of topics made the conference a refreshing and dynamic experience. I regret that it was our only opportunity to share such work. It gave me great pleasure to listen to my peers speak on subjects about which they are so passionate. Although giving a Pecha Kucha presentation was a useful exercise in many respects, it is perhaps not an ideal form for literature students. When engaging with texts, we often wish to pick out particular passages for close reading – these instances may take up a number of “points” in Pecha Kucha. It is evident that the form was conceived by designers, whose communication style is primarily visual. Timed presentations certainly give the speaker a sense of purpose, and I would certainly use one again in the future. My presentation, on Terry Pratchett’s appropriation of Shakespeare, was warmly received by my peers and I delighted in the opportunity to explore material that I’ve enjoyed for many years in my personal reading in a more academic context.